AIA Document A132™–2009 is a standard form of agreement between owner and contractor for use on projects where the basis of payment is either a stipulated sum (fixed price) or cost of the work plus a fee, with or without a guaranteed maximum price. 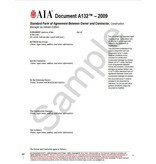 In addition to the contractor and the architect, a construction manager assists the owner in an advisory capacity during design and construction.The document has been prepared for use with AIA Document A232™–2009, General Conditions of the Contract for Construction, Construction Manager as Adviser Edition; B132™–2009, Standard Form of Agreement Between Owner and Architect, Construction Manager as Adviser Edition; and C132™–2009, Standard Form of Agreement Between Owner and Construction Manager as Adviser. 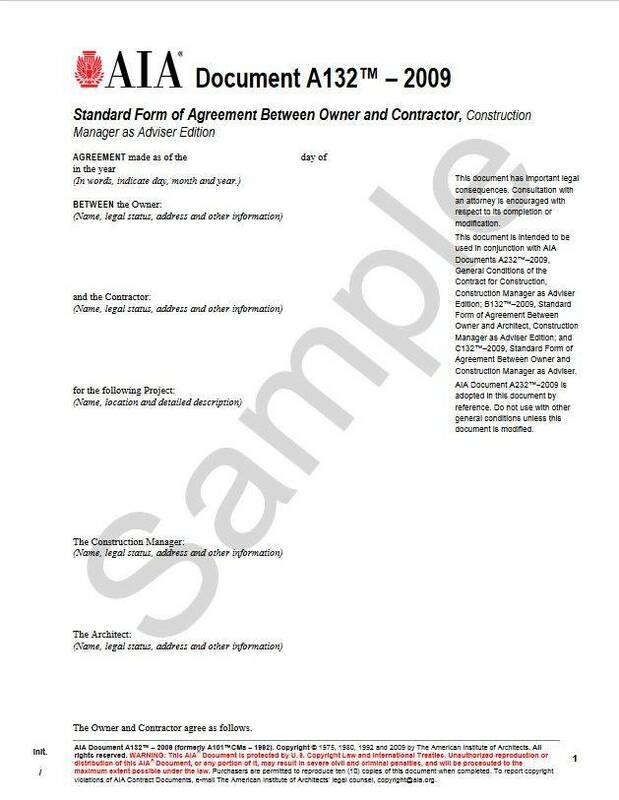 This integrated set of Document is appropriate for use on projects where the construction manager only serves in the capacity of an adviser to the owner, rather than as constructor (the latter relationship being represented in AIA Document A133™–2009 and A134™–2009).